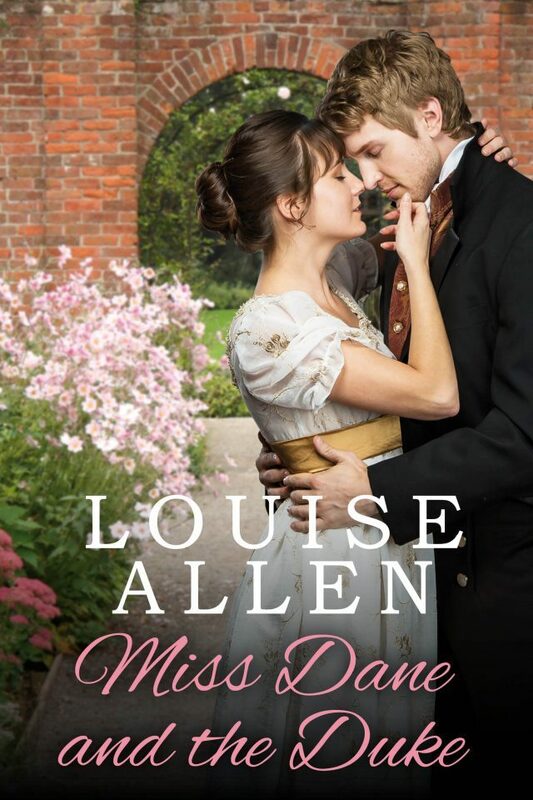 Dukes always get what they want – Or is this lady the one exception? Antonia Dane’s inheritance is a decaying house, a disgraced family name and a ramshackle estate. Somehow, she vows, she is going to make a new life for herself, redeem the Danes, become independent. She hadn’t calculated on the Duke next door or how temptingly impossible he was. Marcus Renshaw, Duke of Allington, wants Antonia’s lands – and he wants Antonia. Dukes don’t have to ask twice, whatever it is they want, but it seems Miss Dane hasn’t heard about that rule. This is an extensively revised edition of the novel by Francesca Shaw originally published by Mills & Boon in 1997 as The Unconventional Miss Dane. The stagecoach lurched, then with what seemed infinite slowness, toppled on to its right-hand side. precipitating Antonia into the lap of the portly bank clerk next to her. Clutching wildly at his lapels only served to take both of them on to the floor of the coach, where they were shortly joined by a curate, a basket of apples and a small child who promptly set up a piercing wail. It seemed the best solution. Antonia certainly could not move until someone had enough space to remove their booted foot from her skirts. After considerable upheavals, the farmer managed to boost Donna’s slight frame through the door and on to the sloping side of the coach. Sensing escape, the small child set up a fresh wail and, to Antonia’s relief, was handed up to his mother who followed Miss Donaldson into the spring sunshine. Antonia was the last out and joined her fellow passengers, shaken, bruised, but largely unhurt, who assembled on the rutted road to view the wreck of their conveyance. The driver and guard unhitched and calmed the horses, but further useful activity then seemed beyond them. The driver removed a filthy hat the better to scratch his equally dirty hair, the guard helpfully kicked the nearest wheel and the men amongst the passengers stood around sucking their teeth in contemplation of the depth of the ditch into which the coach had fallen. The curate, an energetic young man, kindly climbed back into the coach and handed out their things. He was just scrambling out again when, with a thud of hooves on the wet chalk, two horsemen rounded the bend and reined in at the sight of the shambles in their path. ‘Your Grace!’ exclaimed the curate. A duke? Here? Antonia put down her valise and prepared to be entertained. She had never seen a duke before. ‘Mr Todd.’ The Duke nodded to the clergyman, dismounted and tossed his reins to his groom before striding over to regard the wreck. ‘Has anyone been hurt?’ He turned to survey the ill-assorted group of passengers. Antonia encountered the brief scrutiny of a pair of dark brown eyes before they moved on to as swiftly peruse, and dismiss, the small figure of her companion. She found herself colouring, with what had to be indignation, at such a cursory survey. Very well, she was shabbily dressed, and undoubtedly not at her best after a long coach journey and being tossed around in the toppling coach, but she was not used to being dismissed with such a complete lack of interest by gentlemen. He is a duke, she reminded herself as she watched the tall, rangily elegant figure as he stood, hands on hips, regarding the stage coach and the ditch. Doubtless dukes do not find the common herd as fascinating as we find them. He was unconventionally bareheaded, the light breeze ruffling his dark blond hair which was, she decided, in sore need of his barber’s attention. He might appear careless of his dress, but cut and cloth were of the finest and the burnished leather of his long boots spoke of a man who need not, unlike lesser mortals such as herself, watch every penny. ‘Which duke is he?’ she asked Mr Todd. Antonia watched Allington take command, organising and ordering until the male passengers were marshalled into an obedient team, some levering up the wheel, others with their shoulders to the rear of the vehicle. With the addition of two sturdy hedgers and with Saye at the horses’ heads, the stranded coach began to teeter upright, then stuck again in the soft soil of the bank top. Without reply, the Duke stripped off his buff coat, rolled up his sleeves, and applied his shoulder to the coach. Either he was very strong, Antonia mused, or the sight of a duke exerting himself galvanised the other men. Whichever it was, when he said, ‘Now!’ they strained themselves to the utmost and heaved. Seconds later, with a shuddering crash, the vehicle once more stood on four wheels. The coachman and groom re-hitched the team, the grateful passengers picked up their luggage and began to climb aboard and the Duke, fending off the flustered attempts of the curate to brush down his coat, remounted and rode off.